Italian Shrimp and Vegetables combines seared zucchini and mushrooms topped with shrimp scampi, grape tomatoes, Parmesan, and fresh basil. Sponsored by Gorton’s Seafood. All opinions are my own. Shrimp scampi is a classic Italian-American dish that combines shrimp and garlic in a buttery sauce that’s thick enough to coat pasta. 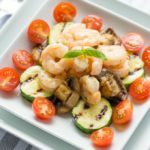 If you thought you liked shrimp scampi before, watch how it gets even better when you serve it over Italian veggies like zucchini, mushrooms, and tomatoes. It’s easy to make a delicious seafood meal like this one at home, any night of the week, when you use fresh-caught, perfectly seasoned Gorton’s Seafood. 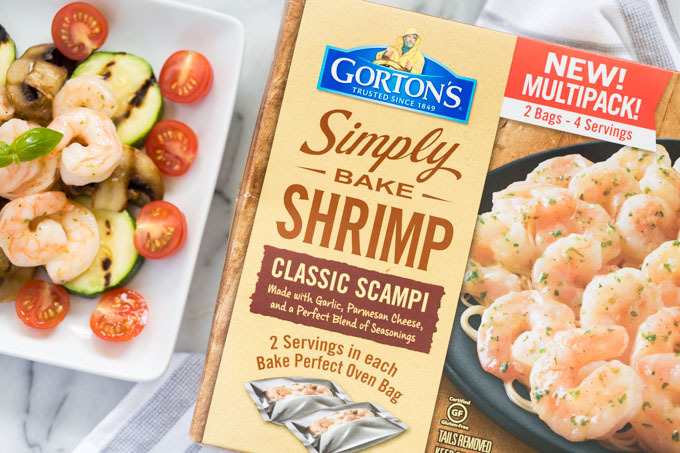 For this recipe, I love to use Gorton’s Seafood Simply Bake Shrimp Scampi. 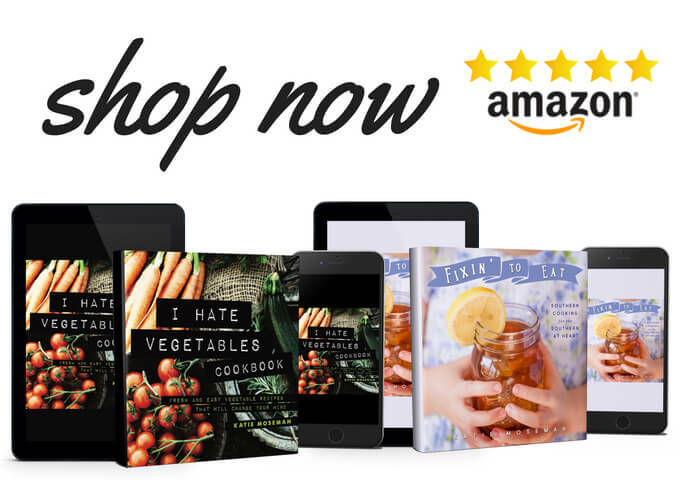 Click image above to see more! 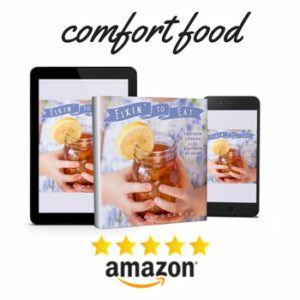 It’s made with simple, chef-inspired ingredients that make it both gourmet and easy to prepare. While the shrimp scampi cooks, the zucchini and mushrooms get a nice sear in a grill pan for color and flavor. All you have to do with the tomatoes is slice them into halves. Before you know it, you’ll be building a beautiful plate of shrimp and vegetables and ringing the dinner bell. I like to garnish my Italian shrimp and vegetables with fresh basil and freshly grated Parmesan cheese. It’s a quick and simple way to elevate the presentation and enhance all the elements of the bowl. Did you know that basil is one of the easiest herbs to grow on a porch? As long as you have some decent sunlight and you remember to water it when it gets dry, you’re golden. Fresh basil for everything! Next time you’re at the grocery store, be sure to check out all the wholesome meal options from Gorton’s Seafood. 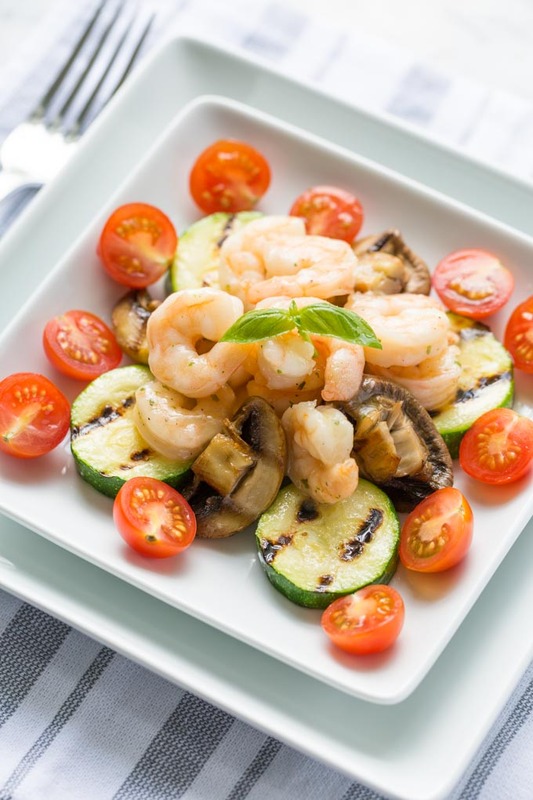 This Italian Shrimp and Vegetables Bowl combines seared zucchini and mushrooms topped with shrimp scampi, grape tomatoes, Parmesan, and fresh basil. 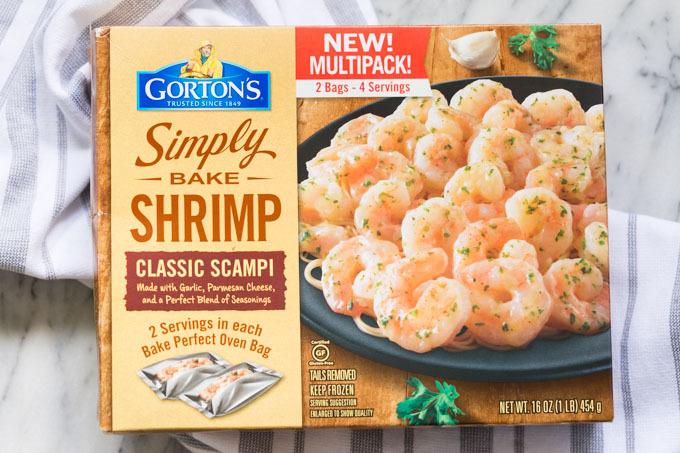 Preheat oven according to Gorton's Seafood Simply Bake Shrimp Scampi package instuctions. Once the shrimp are in the oven, proceed to prepare the vegetables while the shrimp scampi cooks. Sliced the cherry tomatoes in half lengthwise and set aside. Begin preheating a grill pan over medium heat. Cut the zucchini into rounds about 1/2 inch thick. Cut the mushrooms in half lengthwise. Brush the zucchini and the mushrooms with olive oil. When the grill pan is hot, lay the zucchini slices in the pan. Cook for 5 to 7 minutes on one side, then flip each piece over and cook the other side for about 5 minutes, until fork-tender but not floppy. Repeat with the mushrooms. When the shrimp scampi is done, divide the zucchini and mushrooms between 4 plates. Divide the shrimp scampi between the plates. Garnish each plate with cherry tomato halves, basil leaves, and freshly grated Parmesan cheese, then serve immediately. Like seafood? Try my remoulade sauce! This looks totally amazing! Not only is the shrimp looking tasty, I love all the veggies that have been added. It looks delicious and easy to make. I will like to make it, but too bad my son has allergic to shrimp. I love making seafood for dinner. Healthy and yummy! Best of all this sounds quick and easy, just what need throughout the week! This meal looks fresh healthy and tasty, personally shrimp isn’t something I eat, but I would make the recipe without. In replacement of the shrimp I’d add fried firm tofu. I haven’t considered looking at Gordon’s before when purchasing my seafood, but your recipe is giving me second thoughts. It looks delicious and would satisfy my family. Thanks for posting this yummy recipe! My family is definitely a fan of shrimp. I have not tried these yet, but need to look for them on my next grocery store trip! This recipe looks amazing and SIMPLE! I love shrimp but never cook it quite right. Maybe these would turn out better. I will have to look for these in our town store. Yum! That looks so healthy and light. 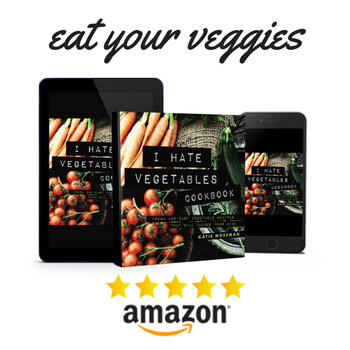 It’s perfect for those nights when you don’t want a heavy dinner. This looks like it would be so very delicious! I have never had an Italian style shrimp before.